• to ensure that there is fairness in loan granting by the society. • to minimize loan delinquency in the society. The fastest way to lose friends, is simple just lend them money. • the society must have been in existence and active for a period of not less than six months from the date of registration. • A member must have completed at least six months membership and contributed any amount to the SACCOsociety in shares/deposits. • A member who withdraws from the society and rejoins later will be treated as a new member for the purpose of this Loan Policy. • Lump sum amount (a one-time payment of money, as opposed to a series of payments made over time) of share/deposit paid to the society outside the regular monthly contributions shall remain in the society for at least six months before qualifying for a loan. • the society’s books of accounts have to be up-to-date in accordance with the Co-operative Societies Act. • All loans shall be restricted to members and shall be approved by the full management committee or the credit committee subject to final approval by the full management committee. 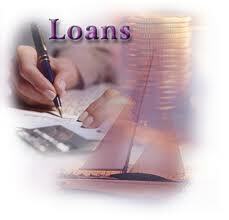 • no member of the loan approving committee shall be present when his loan is being considered. • Employees of the society shall be eligible for membership but are not eligible to become members of the management committee or any other sub-committee in the society. • An employee or official who tampers with his regular share/deposit contribution and loan repayment shall be liable to prosecution under section 94 of the Co-operative Societies Act. • the rate of interest on all loans shall be determined by the management committee from time to time and approved by members in a general meeting. • All loans shall be insured by a reputable insurance company identified by the officials of the society. • All applications for loans shall be made on prescribed forms provided by the society and shall in each case set out the amount applied for, the purpose of the loan, terms of repayment and the type of security provided. the loan application form must be fully completed and must be guaranteed by at least three members. systematically recorded according to the date received, and which shall be used during loan granting. • it shall be an offence for an applicant, society employee or book keeping service employee to give false information regarding shares/deposits, loans and guarantees. • Loan applications shall be considered in the order in which they are received, provided that whenever there are more applications for loans than there are funds available, preference shall be given, in all cases, to smaller loans. • the maximum amount of loan granted to a member shall not exceed three times a member’s savings with the society but subject to a maximum of 5% of the society’s total share capital/deposits and reserves. • For purposes of eligibility for loans, a member’s total shares and deposits will be considered. • the maximum repayment period for development loans shall be as per the SACCo. • the society shall maintain 10% cash reserve of the total members’ savings. At least 50% of the cash reserve shall be kept in a deposit account and will not be available for granting loans. the reserve shall be up-dated monthly. • in addition to development loans, the society my issue emergency loans and school fees loans. • the maximum repayment period for emergency loans will be 12 (twelve) months. • only one school fees loan may be granted to a member in one calendar year. • the society committee may introduce special savings and credit products as shall be required and approved by members from time to time.